Piercing scrutiny of AKC, CKC, TKC and UKC Boards and what the loss of breeder Board Members means to you as a breeder or dog show exhibitor. This three part series is a discussion of why the dog sport has turned to attack its own; Registries, The American Kennel Club, The Canadian Kennel Club, The Kennel Club (England) and the United Kennel Club are examined. People who breed to preserve dog breeds are usually hobbyists and not profiteers. 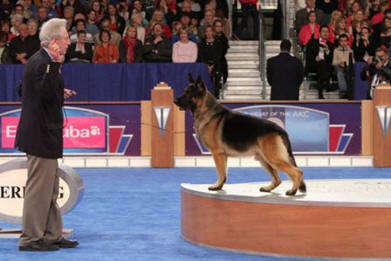 Many dog breeders participate in dog shows or performance events with their dogs. The dogs that they can’t keep are placed in carefully chosen pet homes. This important work of breed preservation has been under attack for some time now. Attacks from lawmakers, ASPCA, HSUS, PeTA, i.e. animal rights activists and rescue operations have libeled and slandered dog breeders out of the market place. But particularly egregious have been attacks from the very organizations dog breeders founded, from the animal medical community to the registries and the clubs themselves. How did the CKC let down its dog breeders? In 1884 the Canadian Kennel Club was part of 13 breed clubs that founded the American Kennel Club. Disagreements between the Americans and Canadians in 1886 prompted the Canadians to pull out and establish their own club In short order it was realized by the breeders that much of their time was being consumed with the business of the business and less with the actual breeding. The spate of paperwork generated created a need for business minded individuals to be brought in for the day to day operations. This relieved the breeders of the tedium of the paperwork but also relieved them of organizational control. The unintended consequences signaled the beginning of the end of breeder-driven decisions which were supplanted by the quest for profits. In order to illustrate this point, here is a short list of the industry’s leaders. The Canadian Kennel Club is headed by … a banker with a degree in finance. Mr. Lance Novak, Canadian Kennel Club President, worked at Canada Trust as a Senior Branch Manager, Marketing Council, and Director before joining the Canadian Kennel Club. He has an extensive background in finance, sales and engineering but it appears NO real passion for the sport of purebred dogs. Despite the wealth of business acumen, the C.K.C. admits that “Registrations are down, and with that, membership and event participation”. To further illustrate the loss of breeder control in the C.K.C., we refer you to the Breed Standard which is the seminal document describing how the designers wanted their ideal breed specimen to appear. For each purebred dog breed the breeders memorialized their thoughts in this document that has been passed down to subsequent breed adherents as a guide to proper breeding. Amendments to a standard must come from breeders and exemplify an improvement or refinement to the existing standard. They must not capriciously alter the standard to accommodate fads and whims of a particular time, but rather maintain the original standard’s intent. The business-minded leadership of the CKC, at first, adamantly agreed with the position that breeders and the individual breed clubs owned their standards and any changes must come from them and said so as late as 2009. Unfortunately for purebred dogs the CKC has flip-flopped on its position regarding Breed Standards. In 2009, Lee Steeves, CKC Director Zone 1 said “The Canadian Kennel Club has historically operated on the principle that the breeders and the breed clubs determine the standards for the breeds and therefore will not unilaterally legislate changes to these breed standards” but as recently as 2014 the CKC pronounced that not only did they have the authority to adopt new breed standards but they hold the right to change ANY and ALL breed standards AS THEY SEE FIT. In their 3 year plan (2015 – 2018) the CKC lists their TOP PRIORITY as “… to evolve and improve member services” but it appears they have decided that the falling registration and event numbers are a people problem and not a dog problem. The largest American registry, the American Kennel Club (AKC), is presided over by the sole executor of the Rechler Real Estate Family Trusts and President of the Morgan Court Condominium Association in the person of Dennis Sprung. He has been active in fund-raising for many charities, including some dog-related. At AKC he is responsible for developing their lines of products and services as well as pathways to alternative revenue. Albeit, Mr. Sprung has expertise in many fields but as President of the AKC it’s important to ask where is the passion for preserving purebred dogs? AKC Board Chairman, Ron Menaker also leads a double life. Mr. Menaker served as Managing Director and Head of corporate services of J.P. Morgan & Co. Inc. of New York from 1966 to 1999. Mr. Menaker has been a Director of Reckson Associates Realty Corp., general partner of Reckson Operating Partnership LP since 2002. He serves as a Director of NYU Medical Center; NYU Downtown Hospital and Atlanta Sosnoff Capital Corp. He has also served as Director of Wyoming Acquisition GP LLC. The AKC, like the CKC, is also struggling with falling numbers. The United Kennel Club (UKC), the second largest American registry, was controlled, no, owned by ex-AKC VP Mr. Wayne Cavanaugh, who did not actively participate in the daily operations. I interviewed Wayne a number of years ago and while he seemed very passionate, he was focused on marketing themes that would improve his business and less about the purebred dog. The U.K.C. stresses a “TOTAL DOG” approach that seems to be more verbiage and less substance. They shine in two areas; that of “no professional handlers” (which isn’t always true) and their hunting programs which are well liked. The U.K.C., while appearing to be more of a “common man’s” club albeit they also suffer from an economic downturn. In Europe The Kennel Club’s (TKC) top public relations official is Dave Robson. His official title is the External Affairs Officer to the Press Office and Public Affairs Team. He graduated from the University of Lincoln with a 2:1 degree in Media, Culture and Communication Studies (BA Hons) and has carried out work placements at regional newspapers. No mention of dogs. So, it can be concluded that the registries are operating as profit-driven businesses and they are ONLY SPORTING A CANINE MOTIF for appearance sake. With prices on the rise and quality waning, is it any wonder that failure looms in the near future? Part II, The Pillory of Activist Veterinary Organizations that are turning the working veterinarian against breeders.